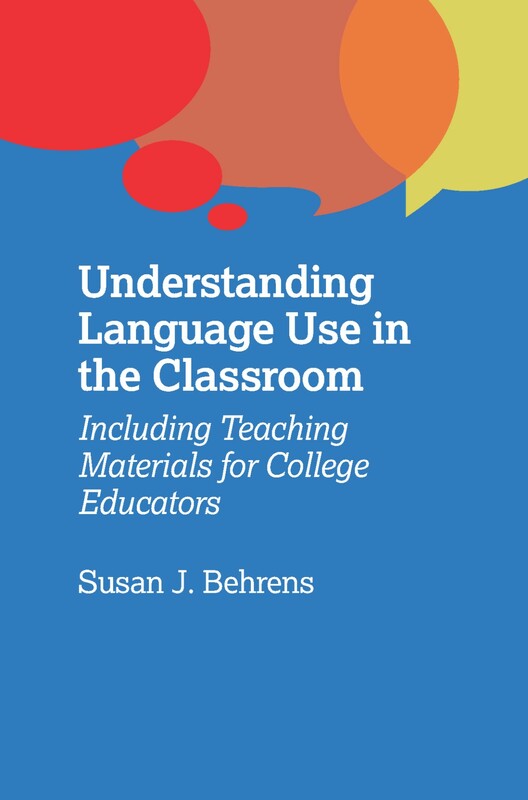 This month we published a new edition of Understanding Language Use in the Classroom by Susan J. Behrens, which now includes teaching materials for college educators. In this post Susan reveals what we can expect from the new edition. My latest project with the wonderful team at Multilingual Matters is an updated and expanded edition of my 2014 book Understanding Language Use in the Classroom: A Linguistic Guide for College Educators. The original text was my way of offering teachers in higher education accessible lessons in the ways language works, a kind of Linguistics 101 in question and answer format about all aspects of language, especially academic discourse. I think a lot about the intersection of linguistics and pedagogy because I am a linguist, and I direct the teaching and learning center at Marymount Manhattan College. Long ago I saw how linguistics and pedagogy fit together, and most of my work involves making connections between the two. Feedback I received from many readers of the original text asked me how they could use the material directly with their students, as lessons and assignments. With this new edition, Understanding Language Use in the Classroom: Including Teaching Materials for College Educators, I take on linguistic stereotypes often found in the media. We are all rather susceptible to the many ubiquitous but unchallenged images about language and language users in the media and popular culture (for a taste of language snarkiness and snobbery, check out “Word Crimes” by Weird Al Yankovic). In 2016, I worked with students to examine how Instagram, Facebook, and other social media sites depict accents and dialects. We also found in popular culture plenty of statements that men and women “speak different languages.” My students found numerous examples of young women being criticized for using vocal fry and up talk. We considered what goes into the perception of a “gay voice.” And we tackled the assumptions that our very hometown, New York City, is the center of linguistic rudeness. Why study stereotypes? Public perception and popular impressions of language – whether or not accurate, and often magnified by media – can set into motion, as well as reinforce, bias against groups of people. Nuances and complexities, not a stereotype’s strengths, are lost when we make grand claims about language use and language users, their grammar, accents, and dialects. The additional material in this book – which takes it into the digital realm with PowerPoint slides, images, and URL links – offers lesson plans and instructor guidance material. Each lesson is connected to a chapter in the original book and extends that chapter, encouraging more exploration, more hands-on linguistic investigation. The pedagogical material is not just for linguistics classes. I wanted to make it adaptable to various audiences and class schedules, and I have included suggestions for customizing the lessons, including assignments that can be both in-class activities and research projects. The original material is still there: a discussion of academic discourse and its role in higher education, the “conversations” about all levels of language, as well as sample worksheets, references and other resources. Since my work on linguistics for educators is ongoing, I have also updated the book with discussions about research conducted since 2014. Every step of the process (for both editions) has been made exciting and smooth thanks to the Multilingual Matters team: Tommi, Anna, Sarah, Laura, Elinor, and Flo. Since the first book came out, I also got to meet some of these folks when they traveled to the US for conferences. Thanks for all the good chats, especially about Moomins. For more information about this book please see our website. 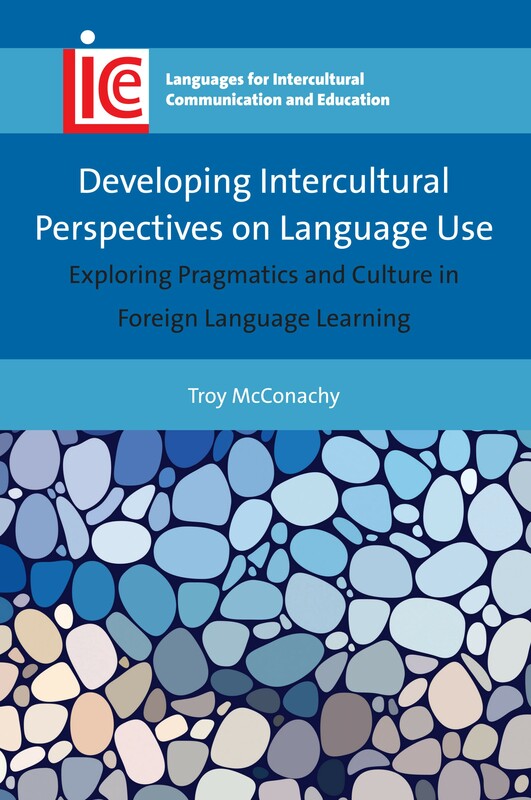 If you found this interesting, you might also like Developing Intercultural Perspectives on Language Use by Troy McConachy.